For over 35 years, Columbia Industries’ customers have relied on our innovative designs to meet their Wheeled Rig Moving System needs. The custom designs of our Wheeled Rig Moving Systems have made a significant impact on the expediency of moving oil rigs over the road or on rig mats in a variety of industries. Drawing from our decades of experience in moving large and heavy loads on wheels, we can provide customized solutions for our customers' individual requirements. Columbia Industries offers wired or wireless remote control packages and autonomous walking (cruise control) to enable operators to be in the safest, most advantageous position possible while moving a rig. Our rig movement and steering options including forward, backward, right, left, crab, spin, and complementary movement. These steering modes allow for exact positioning on the pad, ensuring that the rig is moved safely and precisely. 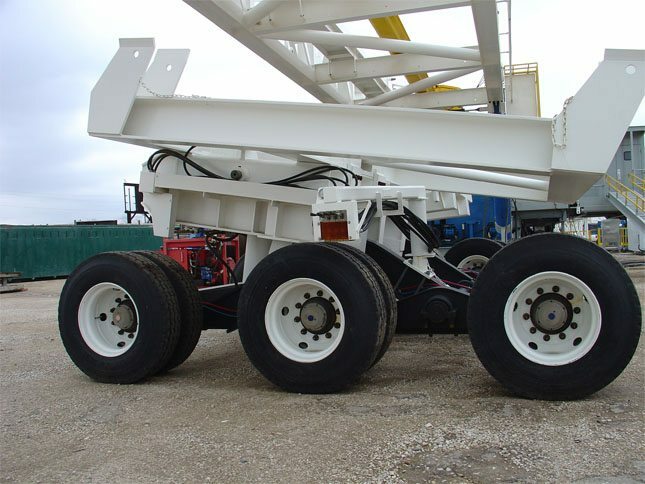 Columbia Axles, Suspensions, and Wheeled moving systems are in use around the world. Each system is custom designed and fabricated to the customers’ expectations. Our systems are designed for heavy use and a long service life, even in the world's harshest conditions. From the Arctic temperature in Alaska’s North Slope to the deserts of the Middle East, Columbia solutions are reliable, safe, efficient and a proven solution for your most demanding applications. Columbia Industries specializes in the design and manufacture of custom trailers and jeeps that are perfectly suited for a variety of applications. Columbia was founded as a trailer manufacturer; we have a rich history in this field when it comes to the engineering and construction of innovative trailer designs. We have designed and manufactured hundreds of different trailers and jeeps for industries as diverse as oilfield equipment, aerospace, wood products, on-road and off-road hauling, and many other industrial sectors. 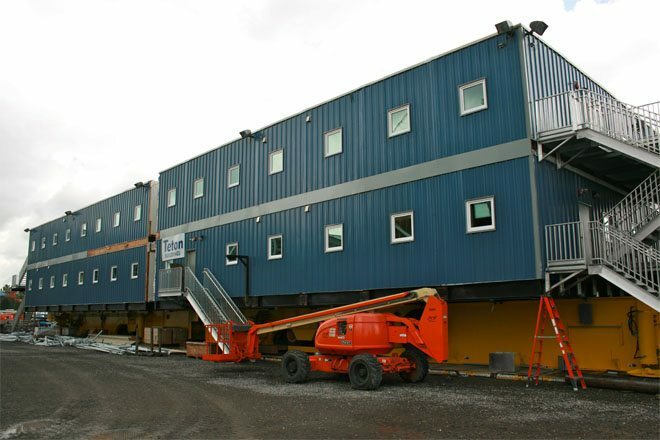 Some of our past projects have included extendable pole trailers, camp trailers, NASA solid rocket transporters, load divider jeeps, heavy haul trailers, dam turbine trailers, and blimp, mud, and log trailers. Columbia's Camp Trailers offer the capability to move between 100,000 and 1,000,000 lbs. What are Camp Trailers & Jeeps? Columbia proudly offers a variety of ways to move almost any load package. The mast dolly helps support the base of the mast while in transit. The top of the mast is also connected to the hauling tractor's fifth wheel plate during this transition. Columbia mast dollies are custom designed for the customer's application to ensure proper fit, function, and capacity. Mast dollies typically have two to four axles and fully support the mast base while moving. To aid in the efficient connection of the mast to the dolly Columbia provides the ability to raise, lower and shift the dolly side to side. At times it may be necessary to navigate corners while the mast is on the dolly. Columbia has developed a fully articulating dolly that allows the operator to steer in addition to raise, lower, and shift.